I’m now a published writer! Congratulations to me! This month marks a very important moment for myself and this blog. As of June 1st, 2016 I am officially a published cocktail writer. Thanks to Sainsbury’s Magazine. In this month’s issue, I have a two-page feature on summer drinks. 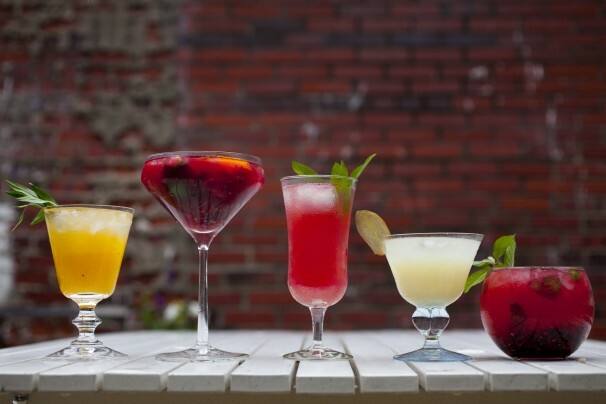 These include 6 drinks, 3 alcoholic & 3 non-alcoholic – all of which are my own recipes! 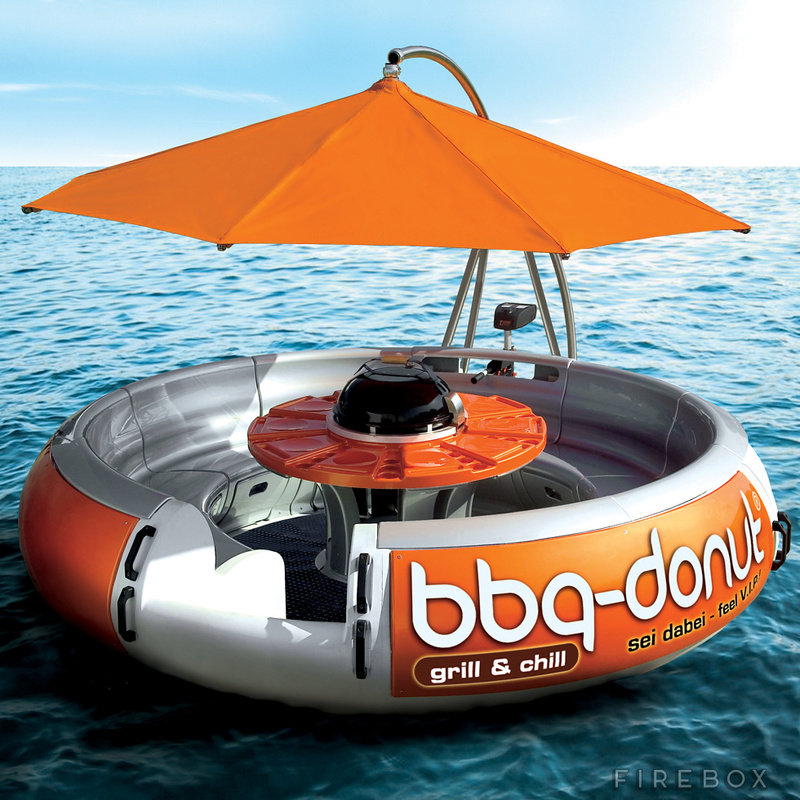 The recipes include a non-alcoholic Ice tea, a beachside-themed rum cocktail, and several others. The picture below show all the colourful cocktails and their recipes. But if you want to really enjoy these drinks, you should head on down to your local Sainsbury’s and get your very own copy. The Magazine is only £2 and inside you’ll find an abundance of food and drink recipes. Left to Right: Beachside Rumba, Green Breeze, Berry-Basil Frosty, Ice & Peachy, Gin Cooler, Summer Lake Punch, Strawberry-Mint Mimosa. Most importantly, though, you’ll find my recipes on pages 82-83! I’m extremely proud of this as it shows that you can make it if you keep trying. Never give up and you’ll eventually reap the rewards of doing something you’re so very proud of! In other news, I’m working on some spicy cocktail posts just in time for BBQ season and also working with a PR rep over at Monin to bring you all some posts that include some of their new products, as well as some of their lesser-known products… Keep your eyes peeled! Build the ingredients as listed in the glass. Stir well and serve with a straw and garnish with an apple wedge. Fill a glass with ice and squeeze in (and drop in) 4 lime wedges. Pour in the Cointreau and stir very gently so as to mix the ingredients with the ice. Top with the Club Soda and garnish with a wheel of lime and a straw. 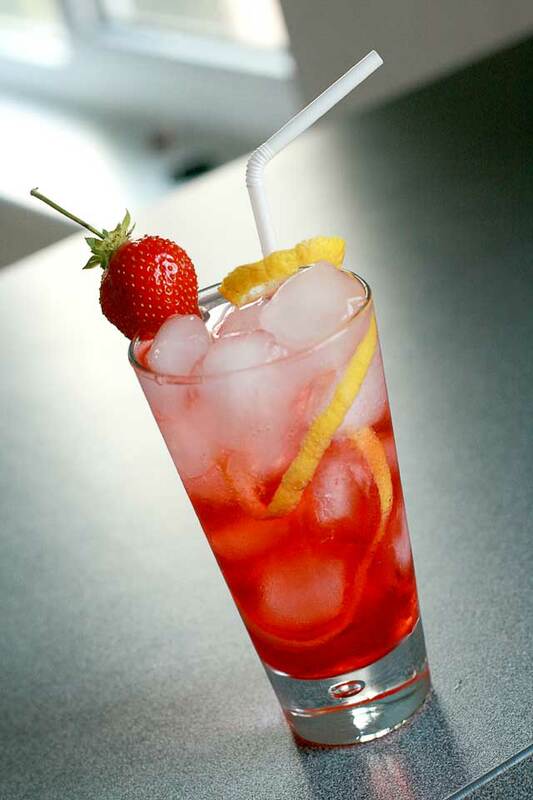 Fill a Collins glass with ice cubes and add the club soda – leave to one side. Combine the remaining ingredients in an ice filled cocktail shaker. Shake well for around 5-10 seconds* and then double strain into the tall glass. Garnish with a piece of candied ginger on a skewer and serve with a straw. Build in a tall glass over ice, start with the SoCo. Then add in the lime, Sprite and cranberry juice. Garnish with a sprig of cranberries and a wedge of lime. This Passionfruit based cocktail is a perfect refresher for BBQ’s and summer parties in the city. Combine the first 2 ingredients one at a time over ice in a tall glass. Top up with the soda and garnish with a passionfruit husk float*. This is another build-it-yourself cocktail and that means it’s brilliant for gatherings. You can make them in bulk and relatively quickly so it’s a perfect drink for BBQ’s, Parties etc… However if this drink is your own and you want to make it a little more special why not turn the garnish into a ‘bomb’ float? Please remember to drink responsibly as you’ll want to be sober enough to try the cocktails on the next post! So you’re at a friends’ BBQ one summer’s evening and everyone is having a nice time, the sun is shining, there’s a gentle breeze rolling through the pine trees surrounding the pool, and although the kids are screaming, they’re having fun. 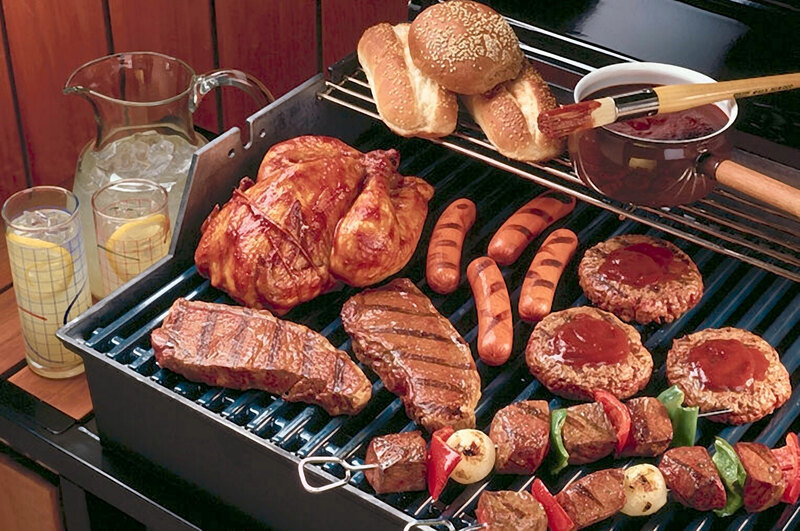 You’ve spoken to all your friends, caught up on gossip and everyone’s enjoyed the hosts’ BBQ skills. But now the temperature has chilled slightly and the sun has started to set. The Kids have gone home to the supervision of their child-minders and that leaves all you adults about with a choice: Lemonade and soft drinks… Or the hard stuff? Shake all the ingredients with ice. 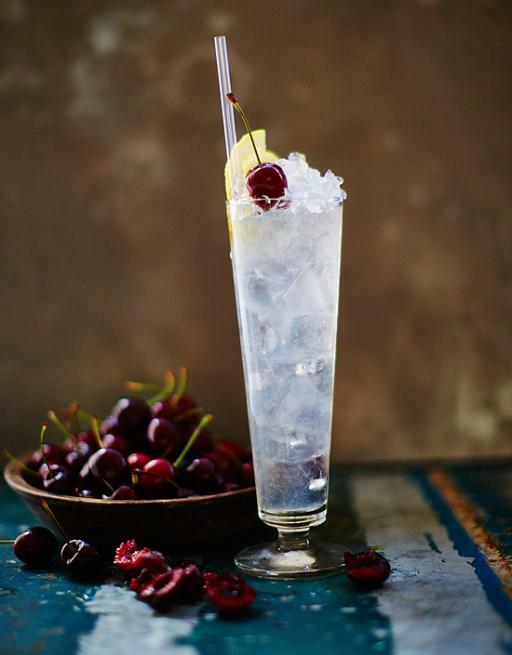 Garnish with a pair of maraschino cherries and an orange twist. Mix the first three ingredients together and shake well, over ice, for around 10-15 seconds. Strain into a tall glass filled with ice. Top up with club soda and garnish with a thin slice of lemon peel. Combine 750ml Vodka with 150ml loose-leaf black tea and allow to infuse (should take around 2 hours). Then, separately: Combine 60ml water with 60g sugar and mix into a sugar syrup. Combine the sugar syrup with the vodka and mix well. Half fill a Collins glass with crushed ice. Add 50ml of the infused vodka to the glass. Then add 12.5ml of lemon juice. 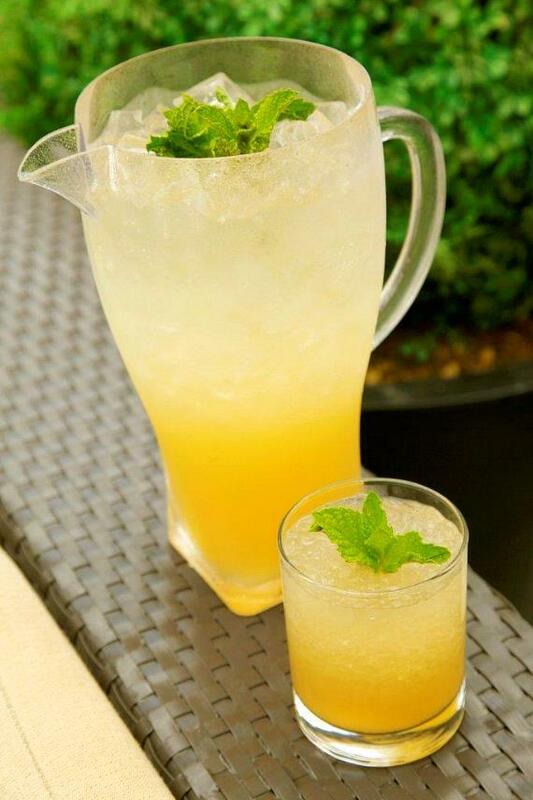 Top up with the club soda and garnish with a lemon wedge and mint sprig. If you create the full amount above (750ml) you’ll have plenty to share (or keep for yourself). Give it a go, you’ll be surprised what you can come up with! Garnish: Vanilla Bean & orange twist. Shake all the ingredients together over ice for 15-20 seconds (or until the tin ices over). Strain into a coupe cocktail glass and garnish with a vanilla bean wrapped inside the orange twist. 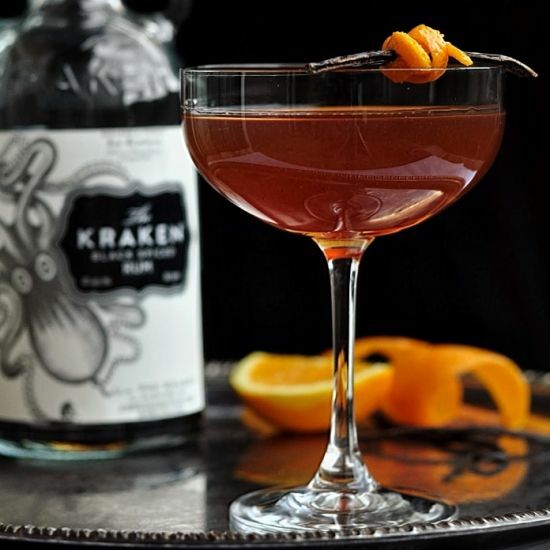 This cocktail mixes two of my favourite spirits in Kraken & Licor 43. And boy do they blend well! This looks like an odd mixture of spirits and bitters but if shaken well (and properly) this drink elevates you to another level. When a drink can supply you with a mix of refreshment, great taste and an almost bottomless depth in quality you know you’ve hit gold; with the Carta Marina you have some good old US/Mediterranean Gold. If you only drink one cocktail of this list: Pick this one! 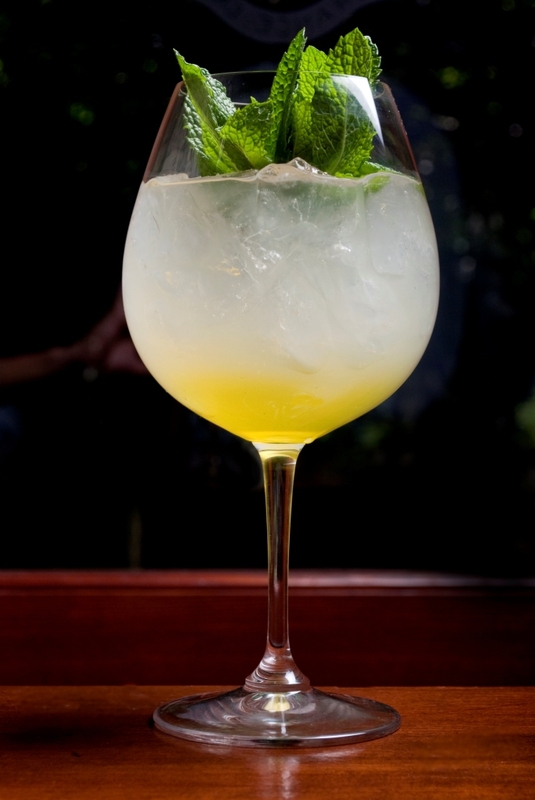 A funny little twist on the Mojito, the Daisy De Santiago is a fantastic blend of refreshing and crisp. Garnish: fresh berries & a sprig of mint. 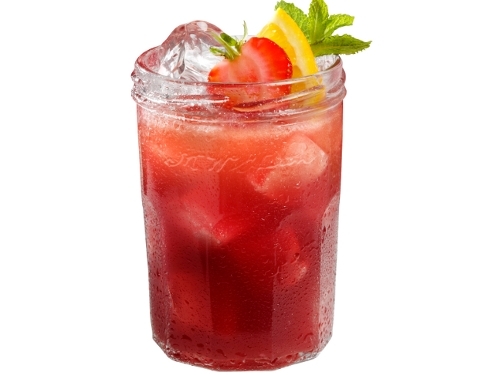 Add the rum, sugar syrup & lime juice to a shaker filled with ice and shake well – for around 20-30 seconds. Fill a wine goblet with crushed ice and strain the mixed liquid into the glass. Garnish with the sprig & berry bouquet and then float the yellow Chartreuse on top of the drink. 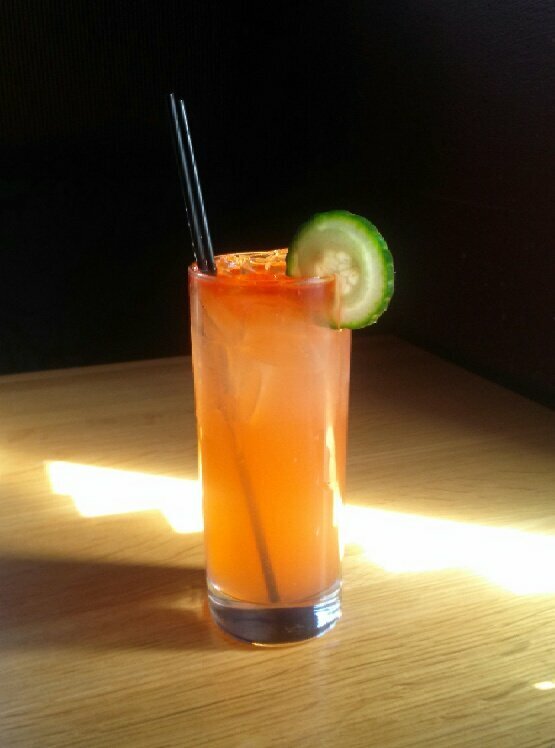 The Daisy de Santiago is possibly one of the freshest and most refreshing drinks I’ve had the pleasure of sipping in a long time. 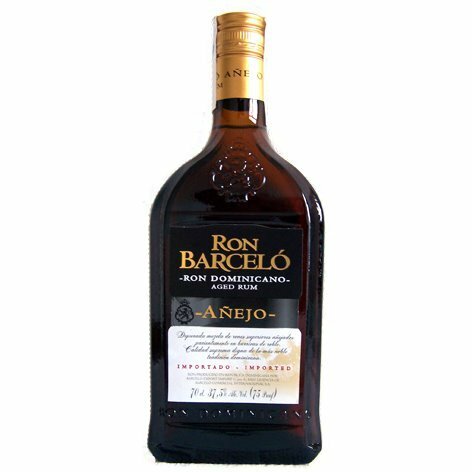 It’s got a lovely rum kick from the Bacardi yet it’s sweet and almost minty after taste compliments most summer evenings. 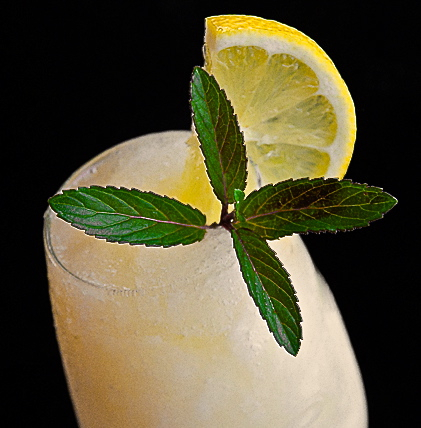 A difficult drink to balance perfectly but one that is very much worthwhile mastering. There are only so many ‘new’ cocktails available online, before they start becoming similar to cocktails I’ve already posted about. To try and dilute this pool of great flavours I have called upon the aid of two (2) of my most treasured cocktail books. 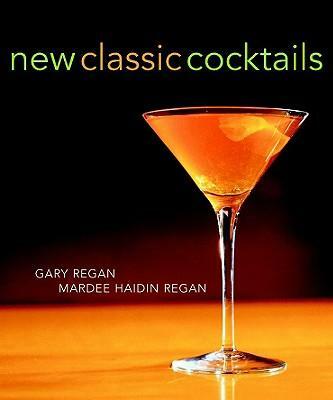 One of which, New Classic Cocktails (by Gary Regan & Mardee Haidin Regan) a great book I bought after it was recommended on an episode of Robert Hess’ The Cocktail Spirit. 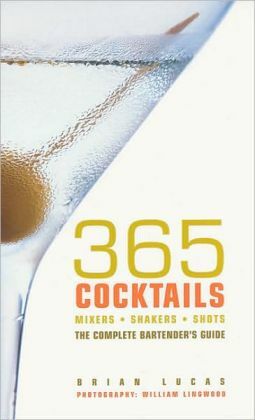 It’s a great little book, filled with some of the more obscure cocktails from around the world. The other, is a book extremely close to my heart: ‘365 cocktails by Brian Lucas’ – the first ever cocktail book I ever bought. Ever since I bought it, it’s been an essential part of my library and is a go to book in when I’m looking for inspiration. So I’ll be sharing the wealth, and supplying some of the cocktails from my first cocktail book, intermingled with some from the other book (and of course I’ll also be using those from the internet and my own brain). 1) Build the ingredients over ice in a sling glass. 2) Garnish with a lime wheel and maraschino cherry. This cocktail is a slightly refreshing tequila cocktail, more so because of the melon liqueur. 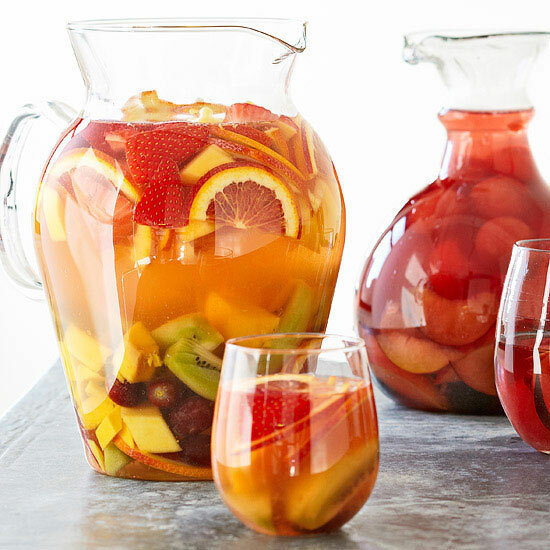 If melon is not your thing then try out different liqueurs, but try to keep away from citrus flavours if you can help it (the grapefruit juice supplies all the citrus you’ll need). For an added melon kick, in the above recipe at least, muddle 2-5 chunks of honeydew melon in a shaker tin. Then shake the ingredients over ice with the melon and strain into the glass. Garnish the same way. 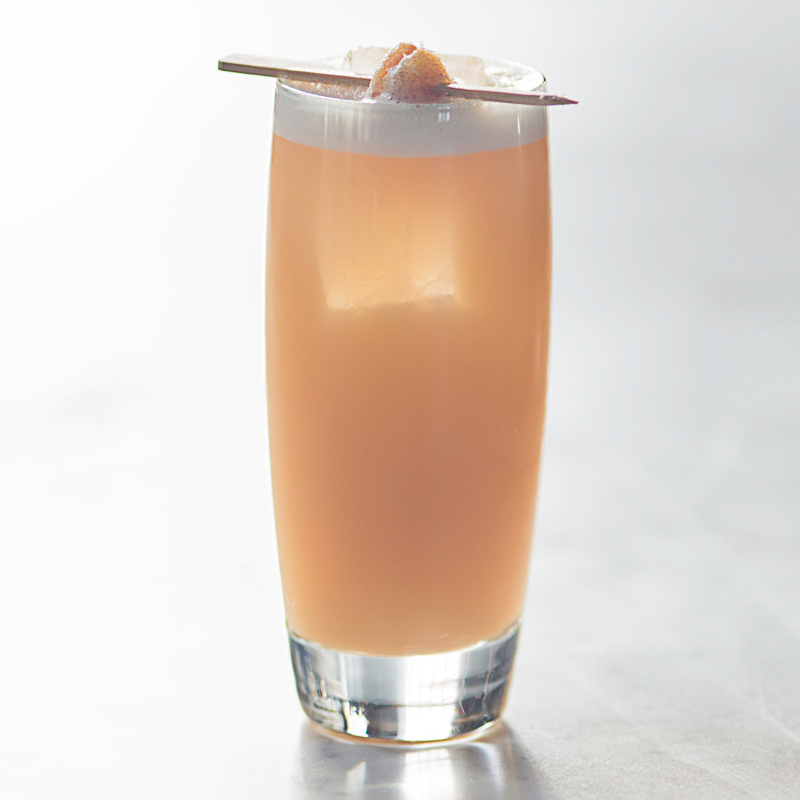 If you like your drink a little more bubbly; then replace 1.5measures of the grapefruit juice with grapefruit soda. It will lighten the drink some more and also spritz it up a little. This truly is one of my favourite Tequila cocktails, and one that will go down a storm at any party or BBQ you plan on having in the next few weeks. Quick whilst the sun is still high! 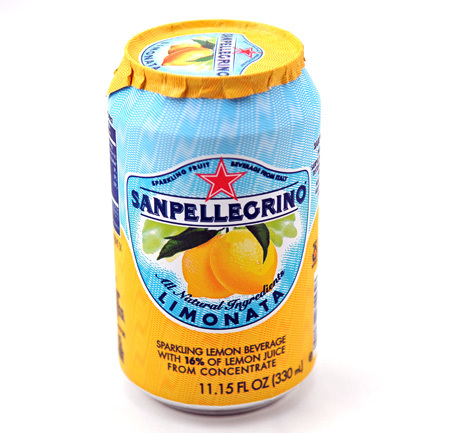 This cocktail is a rather new mixture, one using a great san pelligrino soda: Aranciata (or Orangeade). 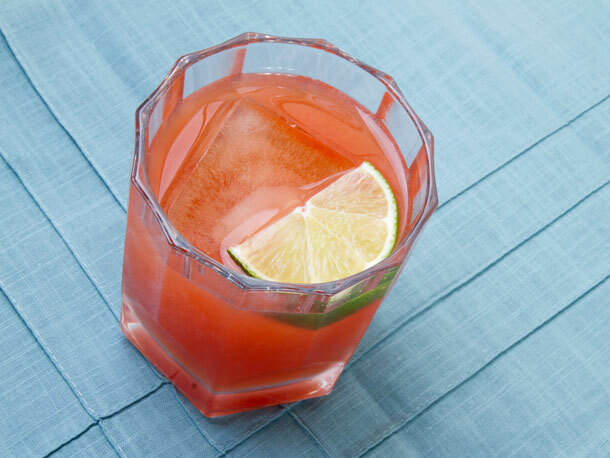 This cocktail celebrates a great mixer with the classic addition of Rum & Lime. 1) Fill a highball glass with ice and squeeze in a lime wedge (be sure to drop it in after, you’ll want the flavour the oils in the skin provide). 2) Add in the Angostura and Rum. 3) Stir well and top up with the Aranciata. 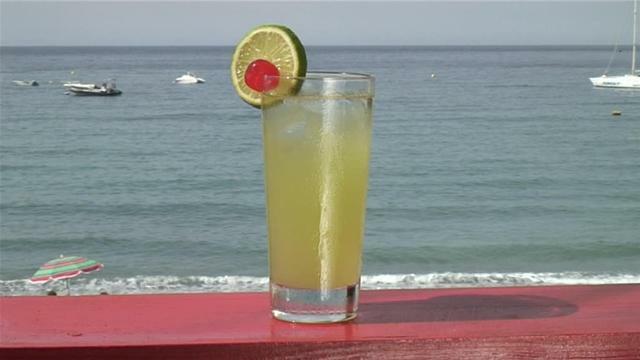 4) Garnish with the other Lime wedge (wipe the glass’ rim and sit either just inside the glass or on the rim itself). 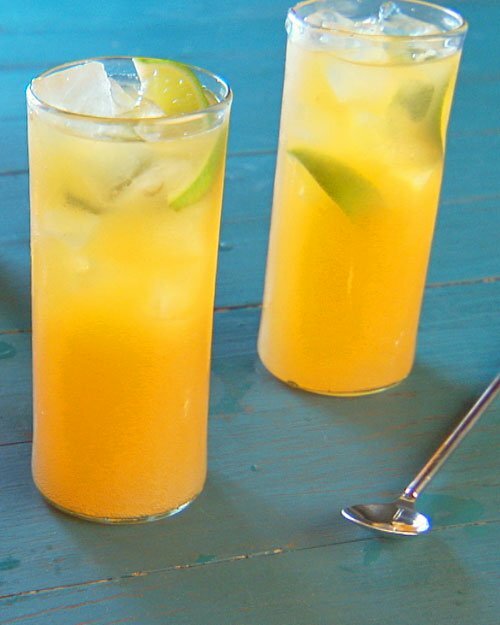 This cocktail is a great summer spritzer, and is part of the ‘family’ of Cuban style drinks. That is the pool of rum, lime and soda family of drinks. Refreshing and rather crisp (lime will do that for you) this cocktail is perfect for the family members wanting to try something a little new, but it isn’t too strong as to ruin the experience for them. Without further ado I present to you the 5 pitcher drinks you simply cannot be doing without this autumn! Mix all of the still ingredients into a bowl/jug and stir well. Add your choice of slice/chopped fruit then cover and place in the fridge for 2-12 hours. Then top up with the carbonated ingredients and serve. If preparing without the 2-12 hours’ notice use large blocks of ice to keep the drink chilled. Mix together the alcohol, lime juice and syrup. Then add your selection of prepared fruit. Cover and leave to chill for around 4-5 hours, then add the apple juice, cover and chill for up to a further 8hrs. Serve straight from the fridge, and top up with the ginger ale. If prepared at short notice, again use large lumps of ice to chill the mixture, stirring in the ice to begin with. Mix together the alcoholic ingredients and lemon juice in your serving bowl/jug. Cover and chill for up to 5 hours. Then mix in the chosen fruit juice. Cover and chill for up to a further 7 hours. Serve straight from the fridge, topping up the drink with soda water, but only when it’s in their glass. DO NOT put the soda in the bow as, it will go flat extremely quickly. Pour all of the ingredients into a large serving bowl. Then stir in your selection of chopped/slice fruits and stir well. Cover and leave in the fridge to cool for 2+hrs. Then remove and add the fruit juice and stir again. Leave for another 2hrs and then serve, topping up with Ginger ale at the last moment. If you have less time on your hands, put all the ingredients (except the ginger ale) in the bowl with large ice cubes. Then stir in the fruit, and add the fruit juice and stir again. Top up with the Ginger ale just before serving. This mixture is perfect as it is, but should you like to tweak it try and stick to Orchard/Forest fruits. A selection of apples, pears, plums, peaches and various soft berries work wonders chopped up and served in the mixture. Mix all the ingredients up and serve with ice. The bigger the ice cubes the better, as they will melt slower. Serve with various sliced/chopped fruit and plenty of lemonade to top. This recipe works well as a non-alcoholic alternative but can easily be made alcoholic if you wish; Vodka or rum make good bases, with liqueurs like SoCo and Cointreau working equally well. 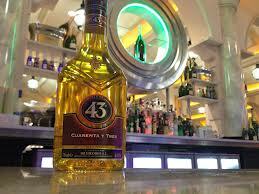 For a special little kick why not try adding 500-700ml of Tequila? Or you can go for a more elegant touch and swap the lemonade out for Sparkling Wine/Champagne. It’s all up to you! I’ve tried to make these recipes as crowd friendly as possible, you’ll notive that I’ve refrained from the use of Orange and Pineapple Juices, this is because I’ve found more people than you may think are allergic to them. 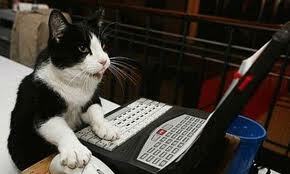 That’s not to say you cannot add them in at all, just find out who’s allergic beforehand! 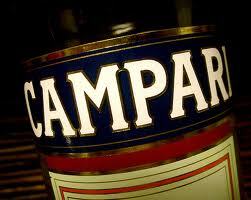 – we want everyone to get the most enjoyment out of your drinks after alll! These recipes are easy to prepare in bulk, and show clear volumes of each ingredient so you can scale them up (or down) to order.